At some point in your life you have probably dealt with someone hitting your garage door with their car. Maybe you did it yourself one day, or a visitor at your house accidentally pulled too far up your driveway, or your silly teenage driver has just not figured out the gas pedal all the way yet. Whoever the culprit is they are probably frustrated and embarrassed about their accident. Though most people have to deal with someone hitting their garage door, not very many people know what to do about it. The first thing that you will want to do is move your car so that it is not touching the garage door anymore. If you were in your driveway and hit the garage while you were attempting to park your car in the driveway while the garage door is closed this step is nice and easy. All you will have to do is back your car up. If you were in your garage and reversed into your garage door this could present a problem. You will want to get out of your car and do a visual inspection. Do not move your car if you do not feel it is safe to do so after assessing the situation. You may need to leave your car where it is until you have a professional garage door company come out and help you so that you do not do anymore damage to your car or the garage door. If you are able to safely move the car away from the garage door, next attempt to open or close the garage door. We recommend that you use your remote and stand a safe distance away from the door just in case. If it opens or closes without a problem try pushing your remote button again and see if it will do the opposite action as well. When you use your remote if you hear loud noises or see parts of the garage door that are not fitting or moving properly you should unplug your garage door opener immediately. If your garage door does not open or close when you use your remote you can try manually moving it. 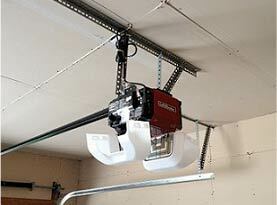 When you move your garage door manually stop immediately if it is not relatively easy to move. 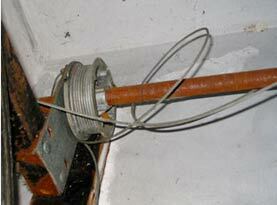 Using force could cause damage to the springs, tracks, motor, and other components. You could also get hurt if anything snaps or breaks when you are trying to open or shut your door. 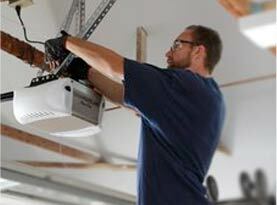 Remember that garage door parts are extremely powerful and can cause serious damage if you are not careful. 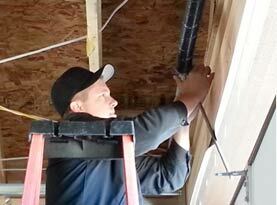 Next up is for you to call your home insurance company for help with garage door repairs. Any car repairs that may be necessary you will need to call your auto insurance company for. It may not be worth it to file a claim in every case but in some instances filing a claim to help cover the damages is your best option. When you call your insurance company they will walk you through any questions that you have about your coverage. When you are ready to call a garage door company to come and help fix the damage to the garage door give United Garage Door Service of Henderson a call!